I have only edited fonts with Quadratic curves, and most likely will continue to do so, even though FontCreator can convert quadratic to cubic curves. After converting the quadratic S curve with 32 points to a cubic curve it had 62 points. Optimising it left 54. Manually deleting as many points as possible, and adjusting the curves manually using the background image (yellow) to maintain its original shape, I managed to reduce it to 36 points. Still 4 more than the Quadratic curve. The difference arises because a quadratic curve can have only one off-curve point between two on-curve points, but it can also have two or more. It is having more than two off-curve points that leads to kinks in curves. Be gentle with me, as I have precious little vector drawing experience with different programs, and don't understand the subtle differences between quadratic and cubic curves. However, it seems to me that neither is any more difficult to use than the other to get smooth curves without kinks. It is just a matter of which one you have the most experience with using. "...creates TrueType fonts, which only use quadratic Béziers. Such curves are described by three points: two endpoints on the curve and a single control point off the curve. Remember conic sections from high school? That's the sort of things you can create with these. Kinda limiting." ...this, I think, is bogus top to bottom. Quadratics can have as many off curve points if you want, I don't remember conic sections from high school, and the limitations to conversion, and possible curvature in digital outline fonts, are all found in Cubics. Strictly speaking, quadratic Bézier curves only have one off-curve point. But with TrueType curves, you can specify more than one because the interpreter is able to reconstruct the missing on-curve points between them. A TrueType curve segment with multiple off-curve points actually consists of multiple quadratic Bézier sections. It's clever because it reduces the number of points you need to store in the font. 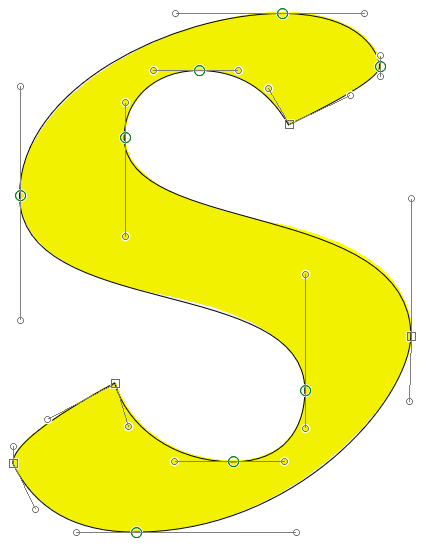 Now that FontCreator supports both curve types, the only critical component that's might be missing is interpolation. Is that correct? I don't think it's capable of axial interpolation. An aspiring type designer will eventually get to a point where they want to get some interpolating done. At minimum, a single axis interpolation for weights. Maybe that's where plugins and external tools could fill the gap. Are there any standalone Windows tools for this? I know about DTL BlendMaster but I don't know if you'd need another tool to get it into IK format first. Well, there's your answer right there. If it doesn't do axial interpolation, that's kind of a deal breaker. I can't think of many professional type designers who don't make use of that capability in some way. "Strictly speaking, quadratic Bézier curves only have one off-curve point." Then later they can go running for one of the many Cubic curve nannies available from one of the many people who also swear by Cubics. Maybe that's where plugins and external tools could fill the gap. Are there any standalone Windows tools for this? Said computer gathers dust for a decade when I sell it for $50. It's a pattern and I'm due for a new one in 2018. If you had kept them a bit longer you could have sold them for $10,000. FontCreator already does transformations to make bolder variants, but the bold transform uses absolute units, so it does not work so well for serif fonts. It is not too bad for sans-serif. We might see relative transforms before axial interpolation. I don't know how much work it would take to do either of them, but if the bold transform worked like this, it would be an improvement. It is a shame that type design software developers NEGLECT (me being polite here!) the Windows user. I, like Ray Larabie, find MAC OS not up to my taste,... but I am curious enough to run it on a virtual machine, a much cheaper way to try the new software - Glyphs, Robofont. It is entirely the developer's choice and decision what software they develop, and for which platforms. 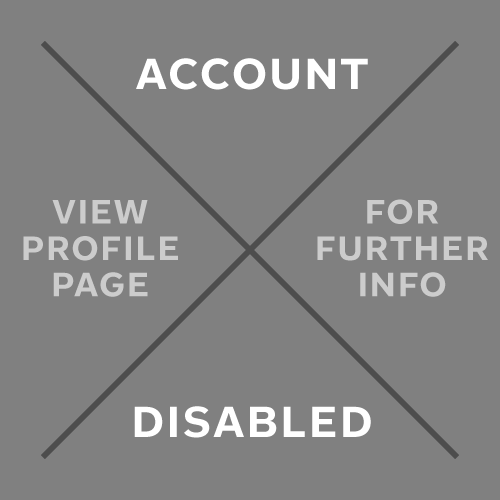 The user has no right to tell them what they should or should not do. They can vote with their wallet, and buy whatever software best suits their needs and/or budget. Software companies are businesses, not government institutions, and have no obligation to do anything at all if they think it won't maximise their profits. I am weary of Linux, Mac, or Android users berating Windows software developers for not developing versions for their platforms. If they thought it would be profitable, they would do it. If not, why on earth should they? It works the other way too. Why on earth should Mac developers employ a team of programs who know Windows programming, when their expertise is with Mac software? Well, we at FontLab do cross-platform apps. But we are the only major/active developer doing so for type design apps, it's true. I agree also with Bhikku. Well, we at DTL and URW++ do cross-platform apps. But we are the only obviously not-considered-to-be major/active developer doing so for type design apps, it’s true. Sorry Frank, but you cannot legitimately claim the title of the only "obviously not-considered-to-be major/active developer" doing so. My Type 3.2 font editor is also cross platform (actively developed, but not-considered-to-be-major). Well, we at DTL and URW++ do cross-platform apps. But we are not the only obviously not-considered-to-be major/active developer doing so for type design apps, it’s true. Apologies... I was thinking in terms of number of customers. But yes, there are other apps! Apologies accepted, of course. One can discuss whether OTM (version 7 will become available around the end of August) is a type-design app, but it has quite some obviously satisﬁed users worldwide. At the recent TYPO Labs conference we demonstrated FoundryMaster though, the new successor of FontMaster for macOS, Windows, and Linux, which makes many nifty (batch) IKARUS-based funtions, such as intelligent scaling, available for the UFO format. Let’s see whether this type-design app, which will be offered for a price far below that of all current major font editors, will make us a bit more a major/active developer. Frank, I am curious when you say the price will be low, when dtl has priced at the upper end of the marketplace. Could you provide some insight into the thinking behind these 2 different price strategies? I particularly like the tools for creating/editing OT features in Font Creator. 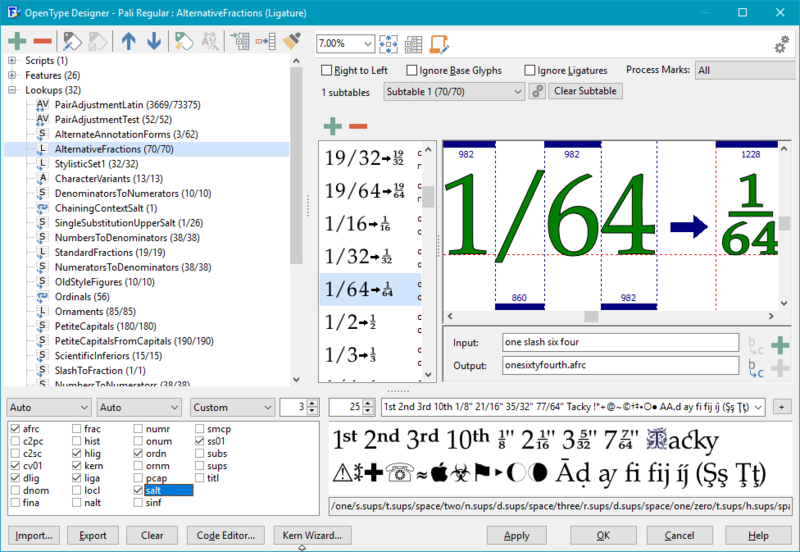 The Visual OpenType Designer certainly makes it easier for non-professionals to add OpenType Features, but Professional font designers are probably more comfortable with coding. I know at least one FontCreator user who prefers to use the Code Editor, and I often use it myself too, although the visual approach is more convenient for seeing how things work. Now that I have designed my fonts, I import scripts into the Code Editor, and maybe add a few lookup substitutions or change the precedence of lookups, but I don't often add new features. I do sometimes add new languages, which also requires some cut and paste in the Code Editor. The Visual Designer is great for testing if features work as designed. Yes, the visual OpenType Designer is the by far strongest part of FontCreator in my opinion. It's a very good tool and I recommend FontCreator to anyone doing complex OpenType Layout development. It can also import (and I think export) VOLT project code. It can also import (and I think export) VOLT project code. It can import VOLT code, but not export it. What it exports is OpenType Layout Feature Definition scripts, which can be imported into other font projects. The workflow is very efficient for a set of fonts. 4. Run the Autokern wizard to adjust the pair adjustment values to suit. Could you provide some insight into the thinking behind these 2 different price strategies? My business patterns are just as unpredictable as Mandrake the Magician’s magic tricks on a wet and windy Wednesday afternoon. Rats. I was just reminded that I can't put in a reaction to my own post. Too bad, I wanted to disagree with myself. I have recently gone through the process of choosing software to create fonts. I tried demos of TypeTool3, FontCreator and Type 3.2. I am on Windows so that limited me somewhat. TypeTool was my initial favorite choice as it was the smaller brother to Fontlab Studio 5 which is pretty much the industry standard for professional font creation. My thinking was that if things took off font-wise and I wanted the industry leader software then the transition would be easier. However, at $650 its a serious investment. However, the limitations of TypeTool for Open Type features stopped me from going down this route. Shame, as its a really nice piece of software. I finally settled on Type 3.2 which I REALLY like. The interface is clean and the tools actually work the way you expect them to! The ability to write actions is a nice touch to automate processes. Class kerning is also supported which is great. As I'm developing a handwritten font the ability to trace image files within the application has been a real time-saver. Another reason why TypeTool was for me was the only import option was eps and the eps file from Affinity Designer wouldn't work. 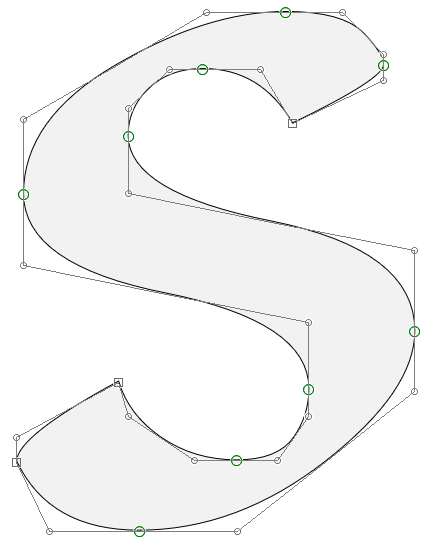 Type 3.2 handles .svg files which pop straight in as outlines. I'm a professional graphic designer with lots of experience of software and have used most graphic applications in my working life and sometimes software just feels 'right' - and this is the case for me with Type 3.2. I know it was discussed on this forum in 2013 where some people were a bit dismissive of it - I'm not sure how the current incarnation compares to the 2013 version. I like FontCreator and specially the OpenType Designer. 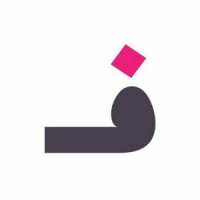 It's better for my kind of experience with Persian/Arabic fonts. I mean the fonts I like to design. And I never understood why the minute any process gets simpler or less time consuming, it's immediately considered as "un-professional". Apps are here to make things faster and easier, right? I never compare people's talents in any field based on the application they use. Couldn't agree more. Tools are personal to you and as long as it gets the job done then that's great. I agree the Open Type Designer is very good in FontCreator. I think one of the things that gives Quadratic Béziers a bad name with people more familiar with Cubics is the way software like Illustrator convert them. 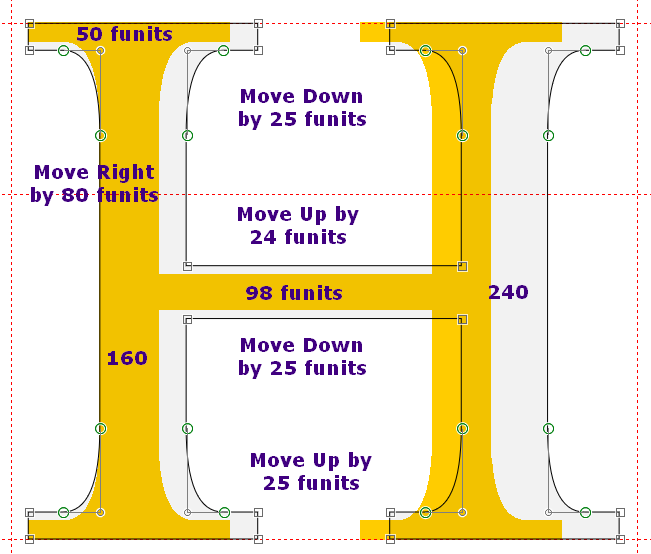 When you outline ttf fonts in Illustrator, you get a lot of unnecessary points. I never understood why the minute any process gets simpler or less time consuming, it's immediately considered as "un-professional"
Look at Glyphs. The last time I looked it seemed to make design much simpler, but I hear praise for it from the professionals. I think it is missing features rather than simplicity that draws the call of being un-professional. If I may invoke recent development at Adobe, they have been simplifying features in a way that make their products easier for amateurs, but takes away functionality from experienced professionals.